I've just launched the tickets for 2017's Bag Retreat! You can arrive any time on Friday, and you can stay until tea time on Sunday, making it three full days of sewing! 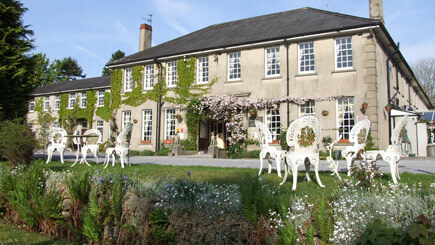 Where: I've booked the whole of the gorgeous little Ty Newydd hotel in the South Wales valleys for the weekend! This hotel is super quaint with log fires, wood panelling and a traditional feel throughout! It's easily accessible from the M5/M50 via the A465 and the M4 via the A470, and we can help arrange transport from the nearest train station or airport. How Much? : The price for a shared room including full cooked breakfasts, lunches, 3 course dinners and mid session refreshments is £300, or 6 instalments of £50. For those who'd rather not share a room, the full ticket price is £345 or 6 instalments of £57.50. What's included? : The retreat ticket includes a 3 course dinner on Friday and Saturday, a choice of continental or full cooked breakfast on Saturday and Sunday, tea & coffee throughout, buffet lunch on Saturday and a Sunday carvery lunch. The ticket also includes 3 retreat exclusive patterns designed by myself, Mrs H, access to the Sew Hot pop-up shop, and skill builder sessions throughout the weekend*. I'll also be on hand all weekend to help with your bag making, give you extra tips, and tell you as much as you'd like to know about bag making! You'll arrive on Friday, coming up the long winding drive, to see the picturesque hotel, covered in trailing plants, with the formal gardens set in front. You can arrive any time on Friday afternoon, but if you wanted to come a bit earlier, you could always choose to have lunch in the hotel bar, or we can point you in the direction of a local cafe. We'll set up in the large communal sewing room, browse the pop-up haberdashery shop, enjoy refreshments mid afternoon, and get down to some serious bag maker bonding! We'll dine in the hotel restaurant in the evening on a 3 course meal (we can arrange for dietary requirements in advance), and then you can either return to your sewing, or unwind in the wood panelled lounge bar. Saturday will start with your choice of a continental or a full cooked breakfast before we get back to sewing! With 3 exclusive retreat patterns to choose from, you're sure to be busy, or you can bring your own patterns to work on while you're there. Everyone will be working at their own pace, but if you find you need a little help, don't worry, we'll have a few break-out skill builder sessions throughout the day, and of course, help is always available! Saturday evening we'll sit down to yet another yummy 3 course dinner, followed by sewing or relaxing in the lounge bar. Sunday being our last day you can check out of your comfy hotel bedroom before returning to your sewing. We'll enjoy a Sunday carvery lunch before finally finishing off any extra sewing for the weekend, packing up and starting our journeys home. If you wish to stay the Sunday night, after the retreat has finished, we can arrange for your room to be kept for an extra night, at a reduced hotel rate. If you'd like to join us, you can currently buy tickets on a 6 month instalment, or at full price. Instalment plans will be available right up until January, subject to availability, they'll just be shorter!